A wild place to shop and eat! 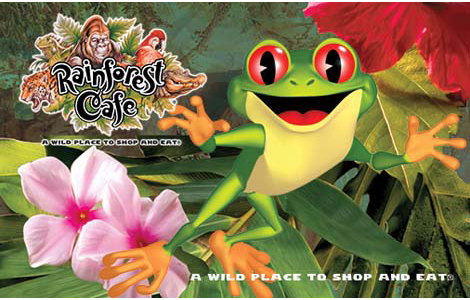 Discover the most realistic indoor rainforest ever created, complete with cascading waterfalls, lush vegetation, tropical rainstorms, beautiful aquariums, trumpeting elephants and entertaining gorillas. The menu features an assortment of favorites, including pastas, seafood, salads, signature entrées, sandwiches and delectable desserts. Take a journey through our fantastic Retail Village, which is overflowing with souvenir items and so much more. It’s an adventure that’s unforgettable!